Why Use TrackACoin Crypto Portfolio Tracker? Do you want to invest in Bitcoins or Ethereum? Do you want to hold other cryptocoins apart from Bitcoin and Ethereum? Do you like investing in Altcoins? If the answer to any of these before-mentioned questions is a yes, you must have faced the trouble of keeping track of the return from each coin or your existing portfolio valuation. If you are an all-time professional crypto trader, you require something better than excel sheets to quickly analyze your cryptocurrency portfolio and take a step on buying or selling of Cryptocurrencies. TrackACoin app is developed by enthusiast tech-savvy crypto traders, owing to the lack of proper and efficient tools available for planning crypto trades. The people behind the development of this app, wanted something simple and efficient enough to log transactions with minimal inputs, advanced enough to help analyze and maximize profits, yet flexible enough to adapt to any number of different workflows. The mission for the development of this app is to help novice and veteran traders understand how much and when to buy and sell Cryptocurrencies like Bitcoin or Ethereum. Apart from assisting for crypto trade processes like the ones mentioned-above, the navigation and management of the crypto currency trading also gets simplified with crypto pie and bar charts. Real-Time Tracking: TrackACoin portfolio page in the dashboard visualizes all of your crypto holdings. 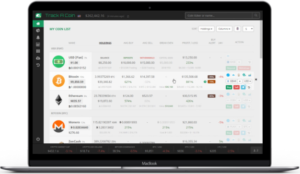 It tracks the current value, base cost and capital gains of your stocks and Cryptocurrencies in real-time. Impressive Charting: TrackACoin offers visualization of your crypto trades with clear and user-friendly charts that keeps you in the loop on the price action of your favorite assets. It’s extremely easier to create your own charts for crypto trades, when using the ‘TrackACoin’ crypto portfolio coin tracking tool. It will not take more than minutes to visualize your own crypto portfolio. Total Coin Worth: This type of chart shows what amount of cryptocoins you can sell for at real-time prices. With the help of this category of chart, you will able to determine how much of your crypto net worth is prepared up of Bitcoin and Ethereum. The rest of the chart has plots showing your alt coins details. Allocations: This kind or category of chart shows how much of Bitcoin or Ethereum do you hold Vs Altcoins? You can perfectly understand how well you have diversified your crypto currency holdings with help of this chart. Total Profit and Loss Measures for Crypto Coins Buying and Selling: With this chart type, you will able to get an idea of your crypto trading profit and loss. Both ‘realized’ and ‘unrealized’ profit can be traced down with the help of this chart. 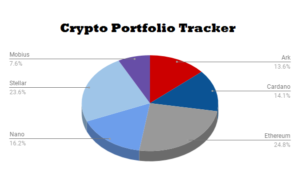 Cryptocoin Percentage Gain or Loss: This cryptocoin tracking chart track down how each of your coins grow (or shrink) your overall portfolio. This chart also uses the same percentage indicator found on the profit and loss column in the main dashboard view of the TrackACoin crypto portfolio coin tracking app. Fundamental Analysis: TrackACoin sources fundamental data on each stock and makes it available for easy display. This app track important metrics like market cap, dividend yield, return on equity, free cash flow, average daily volume, and so much more! Beautiful, Simple, & Elegant: TrackACoin is both beautiful and simple to use, with even the most complex of crypto portfolios. It offers a seamless and intuitive experience by combining functionality with great design. If you need a proper and efficient crypto portfolio tracking app to monitor your crypto tradings, use ‘TrackACoin’ crypto tracking tool.